Our innovative educators bring passion and creativity to their teaching and aren’t afraid to do things differently. Most of our students come from schools that were not structured to enable them to succeed. We believe that with the right mix of challenge and support, young people who have left school can get back on the path to college, and at CUNY Prep, we make sure they do. 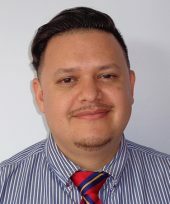 Elvin Aviles joined CUNY Prep as a Humanities Teacher in the Fall of 2011. He has spent much of his career working with underserved youth in various capacities. However, Mr. Aviles says CUNY Prep’s program is unique. Aviles was born in the Bronx, New York and attended New York City Public Schools through high school. He attended Baruch College in Manhattan where he earned a degree in History. 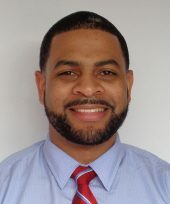 After college, he began a career in education in the Jersey City public school district where he taught for five years. 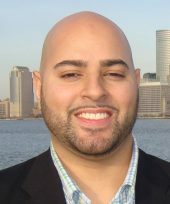 Aviles has completed a graduate degree at The New Jersey City University. He earned a Master of Arts Degree in Educational Technology. He believes in relevant and meaningful infusion of technology into instruction as a means to motivate and foster learning in 21st century students. As assistant director, this is one of his main focuses. Frantz Barbier, a math teacher at CUNY Prep since 2004, prides himself on helping math-phobic students over their greatest hurdles. Barbier was born and raised in the northeast Bronx, where he still lives. He holds a bachelor of arts in English language arts and elementary education from Hunter College. He is also in charge of special events. Bronx native, Stefanie Dejesus, began CUNY Prep as a College Success Coach in the fall of 2014 and has now been crowned retention specialist. She finds joy in making a difference within her community and has held numerous positions in the field of higher education throughout her career. Ms. Dejesus believes in her civic duty as a productive member of society. “CUNY Prep allows for me to play a significant role in my community, which is all that I have aspired to do my entire career. The Bronx has so many issues and even so, so many talented adolescents call this borough home; however, some fall through the cracks. CUNY Prep allows me to facilitate the students’ transition back into school and furthermore into college,” says Dejesus. It is Dejesus’ belief that guidance plays a key role in the success of the students in college. She believes it is our responsibility to help the student discover, develop and hone their skills for lifelong success. 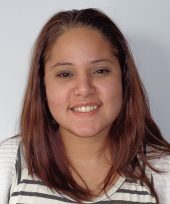 Ms. Dejesus currently attends Lehman College where she is currently pursuing her second Masters’ degree. Previously, she earned her MPA with dual specialization in management and operations and criminal justice policy and administration. In her free time, Ms. Dejesus likes spending quality time with her family and going to cross-fit classes. Kyle Dixon is an educator, media consultant and co-founder of Precise Minds Filmworks Inc., a multimedia production company established in 2005. He is a proud graduate of prestigious Fisk University in Nashville, TN with a B.A. in english language arts and a specialty in african american studies. Mr. Dixon grew to be conscious of the need to support local and global communities of color; therefore, he works with progressive people and organizations to lay strong foundations of leadership, excellence, and cultural awareness. In addition, Mr. Dixon also teaches the H.I.P. H.O.P. 101 seminar that employs elements from Hip-Hop culture to enhance the perspective of how our society displays images and sounds to tell a story. He also participates in a few non-profits for youth in Harlem and Brooklyn that teach leadership through entrepreneurship and the African-Brazilian martial art of Capoeira. CUNY Prep math teacher Ngoc Duong believes that math should be a hands-on learning experience with real-world relevant concepts. 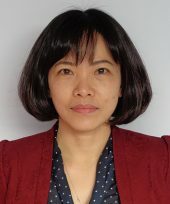 Duong, an immigrant from Vietnam, graduated from Hunter College with a BA/MA in Adolescent Mathematics Education. She joined the CUNY Prep teaching staff in the fall of 2014, and says she is sold on the schools college-bound focus. “Higher education gives people greater choices in life and helps open the door to your future,” says Duong. She enjoys spending free time with her family, reading in Vietnamese and English, and swimming. Kris Foreman is typically the first contact for prospective students at CUNY Prep. As the coordinator of recruitment and admissions, he screens students to make sure they are a good fit for the school. “If they don’t have college as a goal, than this is not the right place for them,” he says. Foreman, who grew up in the Fordham section of the Bronx, down the road from CUNY Prep, says he feels personally responsible to help students reach their educational potential. “I believe my job is to create opportunities for students that enable them to value knowledge, respect themselves and push them to strive for higher education,” he says. 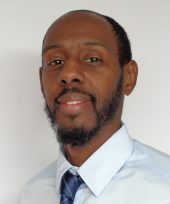 Foreman joined CUNY Prep in 2006. He holds a master’s degree in social science in educational counseling and a bachelor’s degree in sociology from Binghamton University. His hobbies include basketball, baseball, paintball, golf and collecting watches. Aileen Giustra works largely behind the scenes at CUNY Prep but has perhaps one of the more important roles. 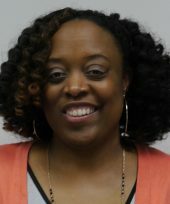 As the school’s fiscal administrator, she makes sure that staff members get paid and that classrooms are stocked with supplies. Giustra joined CUNY Prep in 2006, but she’s worked in the CUNY system since 1996. She has a varied and diverse career history that has covered everything from maintaining databases to Spanish translation services. Giustra enjoys playing with her dog and birds and tending to her plants. She’s also a huge fan of Salsa music and loves going to concerts. 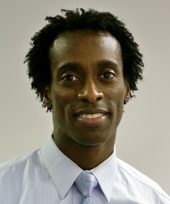 Tracy Hill joined the CUNY Prep family in 2006. She teaches the physical, life, earth and space sciences. In addition to teaching, she is the Curriculum Developer and the Director of CUNY Prep at Night. She wears more than one hat and believes in hard work. Hill started her career as a senior laboratory scientist for a global corporation, working on projects for pharmaceutical companies, oil refineries and even N A S A. But she switched to teaching because she wanted a profession where she could see the direct results of helping people. She taught science at Thomas Jefferson High School in Brooklyn for six years before coming to CUNY Prep. Ms. Hill’s motto is, “Work hard in silence. Let your success be the noise.” She believes teaching gives her and her student’s continuous opportunities to learn and explore new things. “Education can bring community together because weaknesses will be strengthened and strengths will be challenged,” she says. 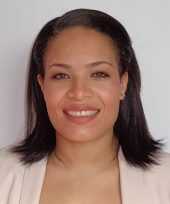 Nashana Holmes has worked in the field of education for over 10 years. She obtained her BA in English Literature and MS in Education with distinction from Mercy College. Nashana started her career as a 1st grade teacher in New York City’s Board of Education. Realizing that she wanted to continue teaching but wanted to service a different population, Nashana went on to work with disconnected youth at FEGS as an Instructor. She fulfilled this role for 5 years and was promoted to Senior Instructor. In that role, she supervised four teachers, providing them with lesson plan support and mentorship. In 2013, Nashana was nominated for New York Association for Continuing/Community Education Outstanding Teacher Award by her Senior Director. She won the award and was awarded in Albany, New York along with 9 other teachers in the state of New York. Nashana has also worked at Hostos Community College as an Instructor for their Bridge to LPN program and CUNY Fatherhood program. Nashana enjoys working with youth academically and socially. For this reason, she started a youth ministry in 2006 at her church called YIELDED Ministries. The ministry serves youth ages 6-29. She runs bible classes, workshops, volunteer experiences, and leadership classes for youth and youth leaders. Her youth participated in Hurricane Sandy Relief efforts in New Jersey, New York Cares Day in Staten Island, POTS lunch service program, Holiday Luncheon for Bronx works, and an Annual Toy Drive. Nashana is very committed and dedicated to her youth in ministry, for this reason she was licensed as a Youth Minister by the state of New York appointed by her Pastor in 2015. Nashana loves working with youth and helping them reach their fullest potential. Her motto is that she must learn so that she can teach, she must get so that she can give, she must empower so that she can inspire, and in doing this she will fulfill her purpose and mission to “YIELD”. CUNY Prep relies heavily on technology in the classroom, and it is Andre Larmond’s job to keep our growing inventory of high-tech tools in top working order. 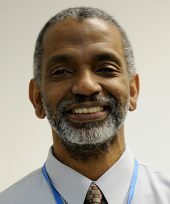 Larmond, who first joined CUNY Prep in 2004, is responsible for everything from software updates on the computers to assisting in keeping the network running smoothly. “I really enjoy supporting the staff here as they help our students build a better future for themselves,” he says. Larmond has a degree in Digital Media Arts from TCI College. He is enrolled at New York City College of Technology, pursuing a degree in computer engineering technology. He’s a parent to a very busy little girl and a new baby boy; in his spare time, he enjoys reading, going to the gym and taking in a movie or comedy show. Jenna Martinez-Lynch teaches literacy and yoga and mindfulness at CUNY Prep. “I believe in a holistic teaching philosophy that emphasizes social and emotional learning. I see my work as co-creating spaces with young people where they can cultivate a deep connection to their hearts, bodies, and minds so that they can foster compassionate connections with their communities,” says Martinez-Lynch. 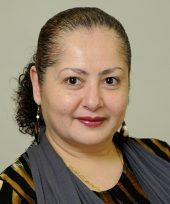 Martinez-Lynch holds a Bachelor’s degree in Journalism from the University of Texas at Austin and a Master’s degree in International Relations from Alliant University in Mexico City. She is a 300-hour meditation teacher, a 200-hour yoga teacher, and a certified children’s yoga teacher. 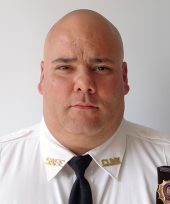 Officer Perez has worked with the CUNY Public Safety Department for four years. He has worked with CUNY Prep since the beginning of 2016. Perez brings a calm yet strong presence to the school. Much of this can be attributed to his years of service with the United States Marine Corps. 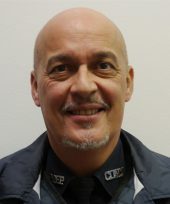 He says his philosophy in working with our students can be summed up by saying, “Don’t let your emotions get the best of you and don’t settle for conformity; set goals for yourself.” Officer Perez says he tries to reinforce the idea that Consider CUNY Prep is the students’ first step towards accomplishing the goals they set for themselves. Glenmore Reynolds joined the CUNY Prep faculty in 2005. He’s been living in the United States for 20 years, but was born and raised in Jamaica, where he saw the positive effects of education firsthand. “I saw many people lift themselves and their families out of poverty through education, so I know it can be done,” he says. Before coming to CUNY Prep, Reynolds worked in the corporate world, the health industry and was a science teacher at a boys boarding school in Jamaica. He earned his bachelor’s degree in the adult degree program at Lehman College. “I stand as a living witness that a person from humble beginnings need not succumb to colorless dreams and dwarfed goals,” he says. Reynolds says the best part of his job is watching the hearts and minds of his students change as they transform themselves at CUNY Prep. Reynolds enjoys reading, traveling, cricket and soccer. 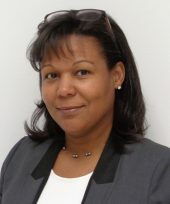 Jenny Ristenbatt was appointed director and principal of CUNY Prep in fall 2010. Before that, she spent three years as associate director, working alongside Derrick Griffith, the school’s founding principal. “I am very proud and honored to lead CUNY Prep,” she says. She believes in the power of CUNY Prep’s educational model, which is based on the core concepts of resilience, reflection and success. 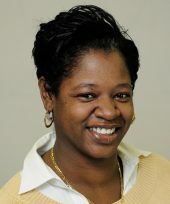 Ristenbatt began her work at CUNY Prep as a forensic science teacher in 2004. She earned her bachelor of science degree in forensic science then got a master’s degree in supervision and administration. 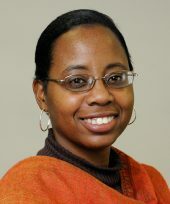 During her career, Ristenbatt also has been a New York City public middle school science teacher and adjunct instructor for The City University of New York. 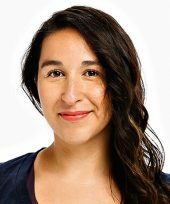 Natali Sierra joined CUNY Prep as Administrative Coordinator in January 2016. Her responsibilities include: support of program phases, initiatives and activities as well as maintenance of alumni database, records and social media accounts. This Bronx native holds a bachelor’s degree in business management from SUNY Plattsburgh. Ms. Sierra previously served as a program coordinator and database manager at a nonprofit adult education program, also in the Bronx. Since 12 years old, when she volunteered at a local church to feed 300+ homeless families affected by a neighborhood fire, Sierra has always found genuine happiness in giving back to her Bronx community. 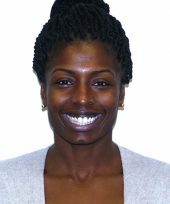 Tameka Thompson joined CUNY Prep in Fall 2016 as a College Success Coach. She has worked in Higher Education in areas such as Financial Aid, event planning, and diversity programming. His 12 year career with the Public Safety Department has made Lt. Velazquez a critical thinker with a solid foundation and great leadership and interpersonal skills. Tamika Wilson is a big part of the school’s central nervous system, handling everything from student Metrocards to scheduling and event planning, to fielding phone calls. Like most staff at CUNY Prep, she wears a lot of hats in her role as Assistant to the Principal. Wilson, who joined the staff in 2005, says she continues working at CUNY Prep because she appreciates the opportunity students have here. Outside of work, Wilson is a busy mom of two boys and loves to roller skate and sing. In fact, you’ll often catch her humming in the hallways of CUNY Prep.